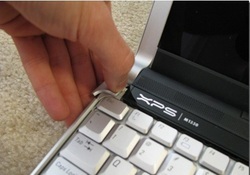 In this instruction, the real laptop is Dell XPS M1330. 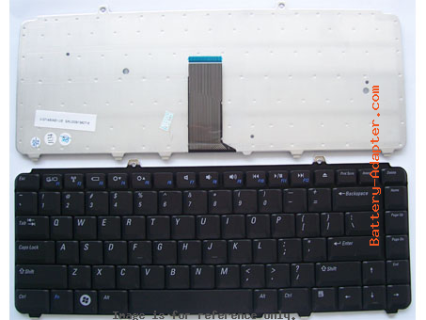 It should work on removal Dell Insprion 1525, Inspiron 1420, Vostro 1500 and other laptop models listed in the keyboard product description. 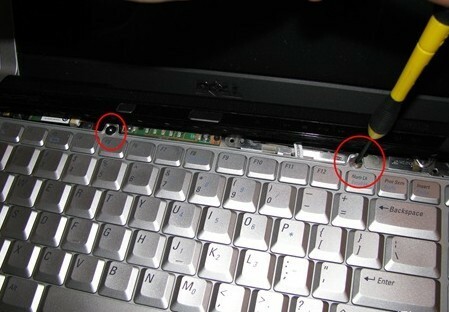 First, turn off your Dell XPS M1330 / Inspiron 1525, disconnect the AC adapter. 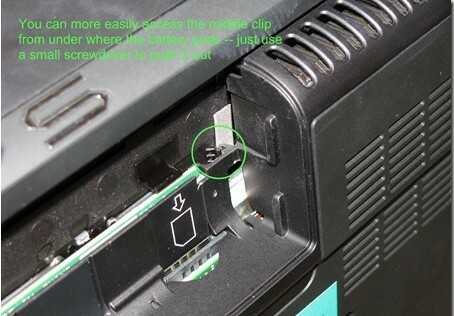 Remove the battery and then the two screws holding the center control cover on. To remove the control panel, you have to pry away from three of the clips, located approximately where the 3 x’s are in the picture. 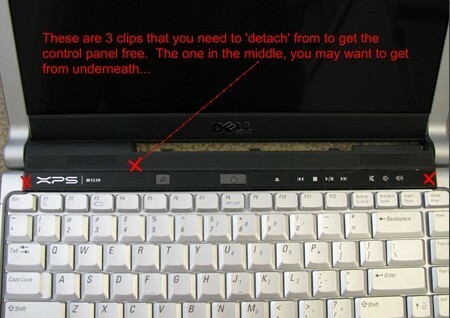 When you are removing the panel, think of the green dotted line as being a fake axis, and then when you are detaching it from the 3 clips, rotate it the panel up towards the screen. Just be careful not to pull the panel too far away from the computer once it’s free – there is a very delicate cable connected to it, and you only have a few inches of play (as long as you don’t rip the panel off, haha, you should be just fine). The left and right clips you can get free by just using a small, flat head screwdriver or similar, and the middle one, you can get from under where the battery goes. With the control panel loose, remove the two screws holding the Dell XPS M1330 / Inspiron 1525 Keyboard in, then slightly put the keyboard towards the screen until loose, and then pull it back away from you and remove the cable (see below for how). 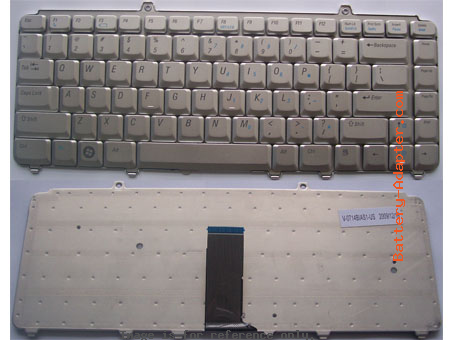 To remove the keyboard cable, pull up on the bar to release it. 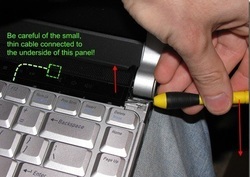 Now you can remove the keyboard. 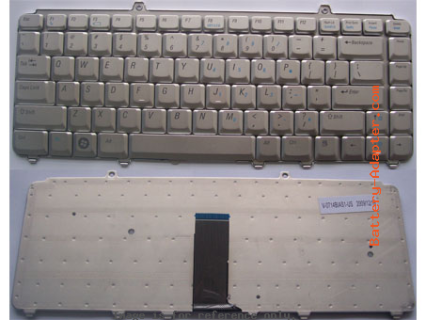 Reverse the procedure to install you new Dell XPS M1330 / Inspiron 1525 Keyboard.